Marsh Organ Harvest – Grand Bay, MS – Matthew V. Bilskie, Ph.D.
A team lead by Professor Morris from the University of South Carolina and Dr. Medeiros from the University of Central Florida, along with research associates, graduate, and undergraduate students traveled to Grand Bay, MS to harvest marsh organs. 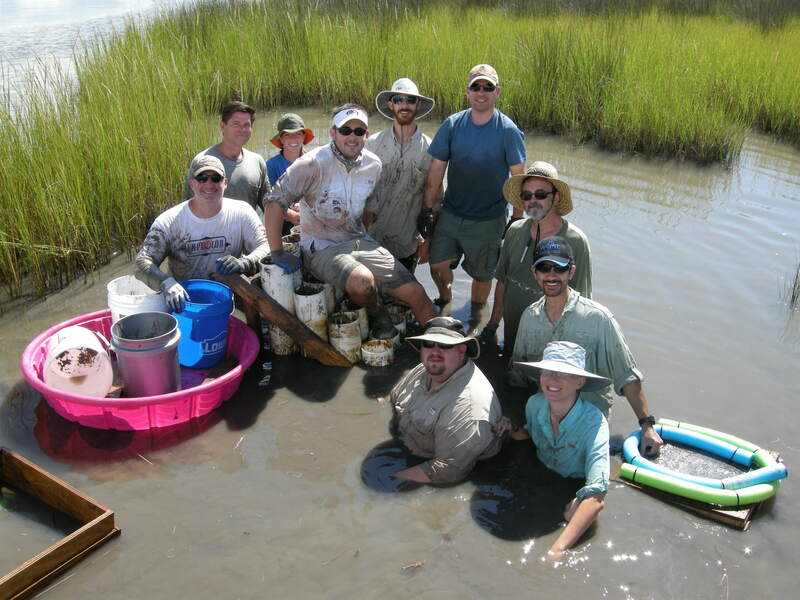 The experiment is used to determine how different specious of salt marsh (Spartina alterniflora & Juncus) respond to growing at different elevations. 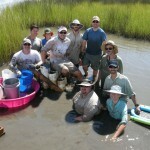 In addition, several high-accuracy GPS points were recorded along with several sediment cores within the Grand Bay salt marsh. Thanks to the great people at the GBNEER (Grand Bay National Estuarine Research Reserve) for their hospitality!